It is important to think about our goals in treatment. In all cases it is our goal to bring the depression into remission. In other words we want to return people to their previous level of functioning before depression occurred. Many people will settle for improvement and not go on for complete remission, often not wanting to increase medication dosage. Over the long term people do better in terms of functioning and not experiencing relapses or the time between relapse is improved if people will participate in treatment that attempts of achieve complete remission. We have a second goal of preventing relapse. This is best done by achieving full remission and secondly by keeping the patient on medication for a long enough period of time to prevent remission. Many people who reach remission of symptoms wish to go off treatment and relapse occurs all too frequently. Patients remaining on medication for a period of six months to one year after achieving remission have a much better prognosis for achieving no relapse or a significantly longer period between relapses. In patients who have had two or more relapses of Major Depressive Disorder it is recommended that the patient remain on medication treatment to prevent further relapse and to prevent relapses, should they occur, from becoming too severe. A large number of antidepressant medications are available today from many differing classes of drugs. Cyclic antidepressants include the newer and most frequently used agents, the SSRIs (Selective Serotonin Reuptake Inhibitors), SNRIs (Selective Serotonin-Norepinephrine Reuptake Inhibitors). They are effective and still used today but less frequently than newer agents because newer agents often have fewer side effects. MAOIs are another class of antidepressant, one of the oldest classes. With most antidepressants they are best tolerated when the patient goes on the medication at a low dose and builds up slowly. Naturally the patient and physician have to work together on this assessing the severity of the depression. In addition when it is time to go off an antidepressant it is important to withdraw from the medication slowly to prevent withdrawal effects. Special precautions are necessary when switching from one antidepressant and it is important to follow a physician and pharmacist instructions to avoid serious drug interactions and to avoid unnecessary delays in treatment. This medication is also a commonly used, effective, newer medication with side effects similar to those seen with the SSRIs. Like the SSRIs the side effects generally lessen with continual use. It is also important with this medication to monitor blood pressure as it has been shown to increase in some patients. It is generally recommended that when discontinuing this medication one do so gradually to avoid discontinuation symptoms such as anxiety, agitation, confusion, convulsions, fatigue, headache and insomnia, to name only a few. Discontinuation effects can be worse with higher doses. The exact mechanism of action of mirtazapine is unknown but it is believed to enhance transmission of norepinephrine and serotonin possibly by decreasing its uptake. This medication causes less nausea, insomnia or anxiety than the other newer agents. It does however have sedation effects and therefore people must use caution about operating a motor vehicle or dangerous machinery or participating in an activity requiring good focus. Sedation problems decrease after being on the medication for awhile and with increased doses, contrary to what one might expect. Weight gain and increased cholesterol levels need to be monitored. This medication should be tapered gradually over a period of several weeks when discontinuing the medication to avoid symptoms of anxiety, dizziness, abnormal dreams, sensory disturbance, and shock like sensations. The most common side effects of this medication are headache, nausea, insomnia, dizziness, anxiety, rash, irritability, constipation, dry mouth, tinnitus and tremor. Bupropion does not increase the effects of alcohol and does not cause sexual dysfunction and may improve sexual function. It may lower seizure threshold and therefore caution needs to be taken in people with a history of convulsive disorders, brain damage or disease or seizures due to alcohol withdrawal. Tablets are formulated for slow release of the medication and therefore patients should not break, crush or chew the tablets in order to prevent too rapid release of the medication. Medication should be taken with food and patients taking more than 150 mg daily should space the doses eight hours apart and possibly try to keep the last dose by 4 pm or earlier to avoid interfering with sleep. 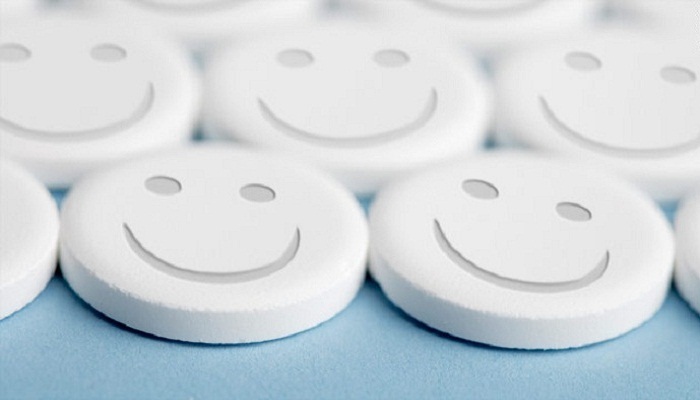 Tricyclic antidepressants are a very effective group of antidepressants albeit with a number of side effects such as dry mouth, constipation, urinary retention, dry eyes, blurred vision, drowsiness, weakness, lethargy, rapid heart rate, hypotension and dizziness, decreased libido, impotence, and carbohydrate craving. A number of side effects do decrease over time when taking these medications. Caution should be exercised before driving a vehicle or operating dangerous equipment until the patient is sure of their response to the medication and can be sure of their safety. Like many other antidepressants, treatment should be started with a low dose and the dose increased every three to five days to minimize side effects. These medications are long acting so can generally be given once daily at bedtime. Abrupt withdrawal from high doses can cause withdrawal symptoms such as nausea, vomiting, malaise, muscle pain, anxiety, fever, sweating, mania or hypomania. Therefore the dose should be tapered slowly. A large number of medications are available for the treatment of depression. Each patient responds differently to the medications, some experiencing minimal side effects and others more sensitive. It is important to work with the physician letting him/her know all the depression effects you experience for the purpose of choosing the most appropriate medication. If a medication is not effective or needs to be stopped due to side effects be aware there are many more choices and it may take a little time to find the one best for you. Because it can take two to six weeks to respond to a medication and because many side effects do disappear over time it is important to try to persist with a medication, working with your physician through dosage adjustments to bring side effects under control when it appears that a medication may still the best choice and a little more time is needed. Many antidepressant medications can have serious drug-food interactions and drug-drug interactions so it is important to let your physician or pharmacist know what medications you are on before starting a new medication, even an over the counter medication or herbal medication as these too can have some serious drug interactions with antidepressants. When a pharmacist or physician counsels you to refrain from eating certain foods, while on an antidepressant, it is important to take these recommendations seriously. Sometimes a physician may want to add another medication to your present therapy to achieve greater effectiveness in treatment. Follow your physician’s instructions carefully when it comes to how fast the drug can be increased. It is safe and often very effective to use some antidepressant medications in combination with each other. Be sure to report any unusual symptoms such as confusion, agitation, sweating, rapid heart rate, tremor, or shivering to your physician immediately. Lithium, thyroid, anticonvulsants, tryptophan, and buspirone are some other medications used with antidepressants to increase their effectiveness when a patient has been responsive to a medication but have not been successful in achieving full remission. Sometimes when a medication is not effective or due to side effects a patient may discontinue the medication and begin a different one. Some medications can be stopped abruptly but most often medications need to be tapered slowly and then after a few days another medication started. Some require tapering down on one medication while slowly increasing a second medication at the same time. Your doctor and pharmacist are trained to know which medications need to have a period of time in between and which can be safely started together. It is very important for your health and safety to listen to and comply carefully with your medical personnel’s instructions. ECT electroconvulsive therapy: a form of depression treatment often looked at with a great deal of negativity, primarily due to a lot of misinformation regarding the treatment with people thinking of it in its archaic form. ECT has the highest rate of success of any form of antidepressant treatment so is an excellent choice in patients with moderate or severe major depression for whom medication therapy has not been successful, when a rapid response is needed, in pregnancy, or in those wanting ECT and for whom it has been successful previously and in those patients who may have a medical condition which prevents the use of antidepressant medications . The American Psychiatric Association task force studying ECT considered it the treatment of choice for severe major depressive disorder when it is coupled with psychotic features, catatonic stupor, severe suicidal symptoms, or refusal leading to nutritional compromise. A course of ECT usually consists of 6 to 12 treatments given three times weekly with a positive response beginning between 10 to 14 days. The most common side effects of ECT are short term confusion and memory loss for a brief period before and after ECT. These problems with memory normally clear up in a few weeks. Some patients report permanent memory loss for some events which have occurred for a few months prior to, during treatment and for a few months after treatment. Relapse rates for depression can be high in the first year and it is therefore recommended that patients receive antidepressant medication to prevent a relapse of symptoms from occurring. Light Therapy: Light therapy is considered the treatment of choice for patients who experience Seasonal Affective Disorder particularly during the fall and winter months. It is believed that a reduction in the environmental light during this period possibly affects the circadian rhythm, (the body’s normal daily rhythm) in some people resulting in depression. A 10,000- lux intensity light is used for about thirty minutes every morning. Patients sit in front of the light glancing up frequently to receive the benefit. Some patients may do this twice daily to make it easier to fit in. Using the light box at bedtime is not advised as it can cause insomnia. Side effects are mild. It is recommended that people using a light box have their eyes checked yearly. Patients have reported eye strain, headache, irritability, insomnia and occasionally hypomania. Most patients show improvement within one week but may go on to improve over several weeks. Some patients respond better using a combination of light therapy and medication. Psychotherapy: Psychotherapy used in combination with medication has been shown to be more effective for Major Depressive Disorder than either treatment alone. Psychiatrists, psychologists, counselors, social workers and other health care providers may be trained in what is commonly called ‘talking therapies’. There are a number of different types of psychotherapeutic interventions to choose from depending on the patient’s history. A common and effective psychotherapeutic approach used in Major Depressive Disorders is called Cognitive-Behavioral Therapy. Cognition is or understanding things through our thinking. Cognitive behavioral therapy is a psychotherapy aimed at changing irrational beliefs or misconceptions about one’s self or environment. This therapy often helps the person to learn to think about things differently, in ways that might help them to respond to a situation without negative thinking patterns. The therapist helps a person recognize faulty thinking and to develop new healthy thinking patterns. Behavioral Therapy: is a therapy sometimes used. It is aimed at encouraging the patient to do certain activities, teach problem solving strategies, self-control therapy or social learning activities. Interpersonal Therapy: a psychotherapeutic intervention aimed at helping people cope with life’s transitions and losses helping to develop skills to understand their effects, grief and how to develop healthy patterns in dealing with these transitions and losses. Marital Therapy, Family Therapy and Group Therapy are all psychotherapeutic interventions that may be looked at for a person’s particular life situation. The important thing to realize is Major Depressive Disorder is a treatable medical illness with a large number of treatments available. It is not a character flaw or deficit and a person should get help as soon as possible to gain the maximum benefit from treatment.